Blog | Why Are My Springs so Noisy? Every time your opener is activated, it is natural to hear loud noises coming from the garage door parts since there are hundreds of metallic parts that are moving and come in contact with each other to operate the door. Of course, when the noises coming from the springs are very loud, it would mean that you haven't maintained them lately or their flexibility has been diminished. How long are you using the springs? Before you take the time to consider and search the reason of the noisy springs, try to remember how long it has been since you bought your extension garage door springs. If they are really old or close enough to the age manufacturers give for life expectancy, you should stop wondering and start planning their replacement. You wouldn't want them to snap jeopardizing your safety and security; it's better to change them before their life is over. You should check the condition of the springs often. Sometimes, you cannot recognize whether the noise is coming from springs or other parts. You should make sure they are clean and well lubricated. In fact, lubrication maintenance is usually the most effective method, which can solve the problem of noisy springs. You just have to make sure you pick the right lubricants, which must also be of high quality. 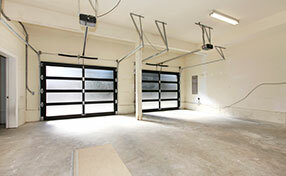 Garage door springs may be very noisy during periods of really low temperatures or even extreme heat. Their lubricants dry out or freeze completely and springs are simply complaining. Apart from lubricating them, you should also apply a spray that can protect them in extreme temperatures. 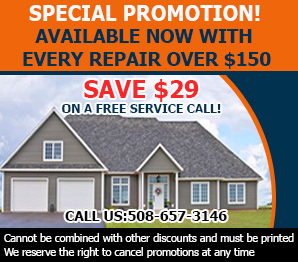 Did you do garage door panel replacement recently? When people get new doors, they forget to check whether the existing system matches the new door. 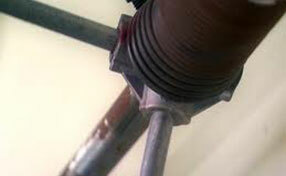 In this case, apart from the opener, you should examine whether the existing springs are sufficient for the new panel. If it's heavier, you must definitely replace the springs. You should check the cables, which work hand in hand with the springs. If they are in bad condition or loose, they can make the life of springs very difficult and they yell out loud for help.